Fitbit Coach has a tiny subscriber base. Charge 3. Image source: Fitbit. 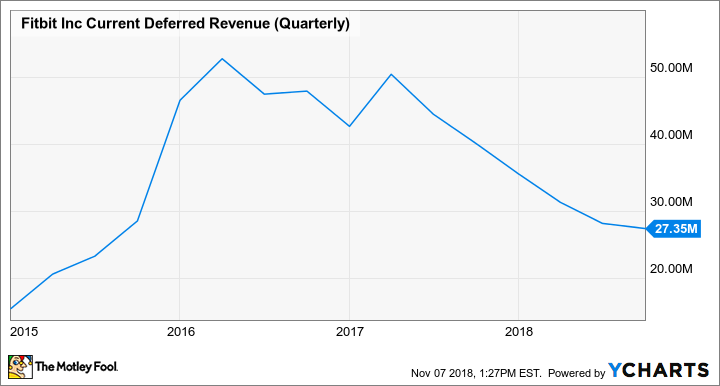 FIT Current Deferred Revenue (Quarterly) data by YCharts.